Whether you are new to e-learning or a veteran of the field, you know this powerful delivery modality has the potential to transform your organization. And yet, it offers a veritable and sometimes daunting maze of choices — from avatars to authoring tools. 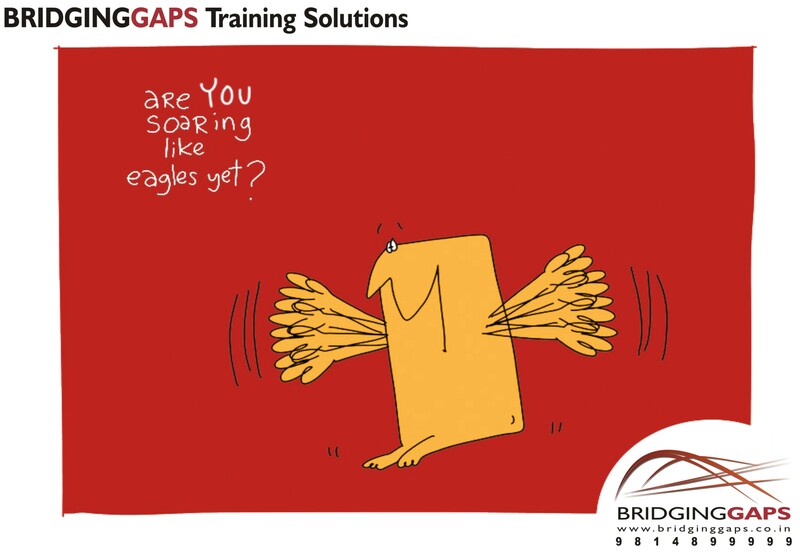 At Bridging GAPS , we live and breathe e-learning, and we partner with you from start to finish. We gain an understanding of your business drivers, your technology environment, and your audience. We identify what your learners need to know or do at the end of the day, and we craft solutions that fit your budget and meet your deadline. Then we get to work. If you need innovative and effective online learning, look no further. We are masters of design and development. As our clients — your peers — will attest, we deliver e-learning that exceeds what you envision and gets your learners excited for more. We use cutting edge Instructional Technology to develop engaging and interactive elearning programs that provide the right people with the right knowledge, at the right time. These programs empower learners to complete the training at their own pace, without the need for an instructor to facilitate a class. Studies have shown that elearning often lowers training time by 50% or more, reducing training costs while also boosting productivity. eLearning is also fully scalable so it can reach hundreds, thousands or even tens of thousands of users quickly, easily and without any geographic limitations. We have served organizations of all sizes and consistently exceed their expectations. What is “mobile” and what is “m-learning”? Seemingly simple words take on so many meanings. But here at Bridging GAPS , we have a way of simplifying ambiguous technology terms. In our world, “mobile” means tablet or smartphone, and “m-learning” means using these devices to deliver training and performance support to your audience. We help you identify the right platforms, and then design, build, and test your solution so it works precisely where and how you need it to work. Want to create new m-learning? Or, perhaps you have materials that you want to convert to m-learning? No problem. We can help you make the right call. Choosing a vendor-partner is not a casual decision. It is critical to your success. We’d be honored if you considered Bridging GAPS . We understand the work you do: a moving landscape of resources, needs, and technology. It’s not good enough for your vendor-partner to have some, or even most, capabilities. You need a partner who will understand your business, can analyze any given situation, and develop instructionally effective solutions to achieve the desired objectives. You need a partner who knows how to orchestrate large and complex projects smoothly, possesses extraordinary creative design and multimedia skills, and has a deep understanding of technology. Also, importantly, one who cares. We believe we are that vendor-partner, and we are ready to demonstrate in action what we say here in words. When you have a vendor-partner you can trust, who always performs, sometimes surprises (in a good way), and makes every encounter a pleasure, you can relax. We strive to be that partner. At the core of our service philosophy is a commitment to building long-term, mutually beneficial connections with our individual clients and the organizations we serve. Share with us the pressures and constraints you are up against, and we’ll take on your challenges as our own. Through collaboration, communication, and positive regard and respect for all team members, we aim to do excellent work and provide a meaningful experience, while delivering on our promises. When the going gets tough, we show up, don our superhero capes, and discover positive, actionable approaches to the challenges at hand. in organizations like yours, the overall success of the team is based on the individual contributions of your associates. Our approach to instructional design helps you attract, retain, and enrich each and every individual on your team. First, we align the learning objectives with your desired outcome. Next, it’s all about the learner: learning by doing, discovery, telling stories, and providing perspectives. My team of instructional design professionals is immersed in an environment that enables success. Mentorship, peer review, collaboration with technologists and designers, and templates, tools, and interaction libraries make their designs – and your vision – come to life. We want your first introduction to Bridging GAPS to set us apart, so we put you in the capable hands of an experienced consultant, not an order-taker. Every day, our Solution Architect team embraces fascinating client challenges, each with unique business drivers, learners, and constraints. We provide engaging capabilities demonstrations, ask the right questions, give you options, frame up effective learning solutions, and put you on the road to success. We work hard to provide you and your team with clear, concise project plans and proposals so you have a crystal-clear view of the path forward. As ambassadors of our culture of caring, we represent the depth of experience, expertise, creativity, strategy, and innovation you’ll find on our team. We are always here to help! Training projects are custom and complex – often involving multiple stakeholders, competing demands, and tight deadlines. A minor bump in the road can derail a project if not handled correctly. Not to worry. I’m part of a team of highly organized project managers, who work with you to understand your business goals and priorities. We bring an impressive array of project management tools, processes, and expertise to each project. We think ahead to mitigate risks and contain costs. If you do hit a bump, we actively recommend ways to get things back on track. We’re here to help smooth the road and make both you and your project a success. The day of the ho-hum, next-next-next training module is over – or at least it should be if you want to attract, enrich, and retain talent. Training materials embody your brand and speak loudly and directly to your employees. Whether you are communicating, motivating new employees, or teaching a system, good design means connecting with an audience to create an emotional response. We start by listening to you: the business drivers, the objectives, and the motivators. Every project and every audience is unique. We gather inspiration from the world around us. We embark on a journey of collaboration with you, and solving your challenge is our common goal. Whatever the solution – games, simulations, infographics, avatars, and more – our visuals are designed to enhance your brand, engage your learners, and create a memorable learning experience. You know you need a training solution, but technology is changing rapidly and there are many options: avatars, simulations, games, mobile, just to name a few. But, what is effective? What will work with your audience and within your budget? And, what about this idea you have… Can it be done? At Bridging GAPS we’ve always offered high-end, innovative, custom e-learning development, built with pride by our talented engineering team. We also excel at using (and enhancing) off-the-shelf tools. I love it when our Solution Architects call to collaborate on a technology-based solution; it’s what gets us going and keeps us on our toes. So, let’s dream together, and then build the solution you truly need, engaging your learners and leveraging what technology has to offer. And in the end, let’s brag about it to the world (subject to NDA approval).